Major storms have hit St. Louis & Jefferson County areas. Causing excessive hail damage to homes! Get your roof inspected for storm damage, NOW! Your beautiful roof will eventually begin to show its age, and one of the best ways to increase its lifespan is through regular maintenance. Paying attention to the little things along the way will go far in making sure you don't experience any surprises with your roof like leaks and unseen damage. If you know your roof isn't yet old enough for replacement, here are some potential problems you'll want to keep an eye on and what you should do when those roofing features need replacement. When you ask someone about potential problems with a roof, one of the first problems that comes to mind is a leak. Sometimes leaks make their presence known swiftly with events like water stains on the ceiling or along the outside walls of the home. Unfortunately, leaks aren't always so courteous as to announce their arrival. Therefore, getting your roof checked at least once a year is a good idea. "Early signs of trouble include dark areas on ceilings, peeling paint on the underside of roof overhangs, damp spots alongside fireplaces, and water stains on pipes venting the water heater or furnace." As a homeowner, you can also observe your roof and the walls around your home on a casual basis throughout the year. If you personally clean your gutters, that project offers you a perfect vantage point for examining your roof. If you're not a fan of heights and prefer to leave the gutter maintenance to a professional, a pair of binoculars will also help you inspect the roof regularly. If your home features asphalt shingles, you might start to see them curling after they get a little worn out. During your regular inspections, if you see any of the shingles looking a little wavy or curled, it's time to repair that shingle before the wear gets so bad it must be replaced. Before full replacement of the shingle is necessary, you can actually have the shingle glued back into place. Sometimes, it's even possible to repair cracked shingles with some sealant. You'll want to ask your contractor about your options and whether repairing today will enhance your roof's lifespan or whether replacement is right around the corner anyway. Even if you can't see curled shingles or wear that's visible to the naked eye, your gutters are a great place to see if there's anything suspicious happening up on your roof. "Check the gutter for an accumulation of colored granules that have washed down the roof from the shingles." Some accumulation is normal for an aging roof, but if you see an ocean of granules, you might be looking at some fairly worn out shingles. When and if you need a new roof, make sure you purchase some extra shingles when you have the work done. Your roof will fade over time and the shingles might not match the color of your roof exactly, but at least they'll be the same style as your current roof and will probably match better than any replacement. Your homeowner's insurance will cover a variety of problems on your roof, but you'll want to examine your policy before anything happens where you need roof repair. Sometimes, your insurance won't cover damage if your roof is too worn out. Just like an old car that requires expensive repairs may be considered a total loss by your car insurance company, your roof could also be declared too old to repair. Your coverage could require you to get a new roof installed. 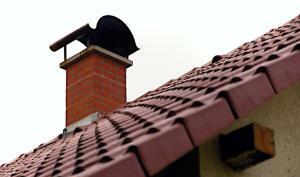 Fortunately, if it turns out your roof does need replacement, this feature is terrific for boosting a home's value. If you're planning to sell your home in the near future, the phrase "new roof" will draw lots of positive attention from buyers.